I read an article in The Hindu dated 7th September titled “First Assembly sat for more than 500 hours“. The article was in reference to the Telangana State Legislative Assembly which was dissolved 8 months ahead of the tenure. The article was not front-page news; rather it was published on page 5. There were hardly any statements in the article, just the facts. I read the article and realized basis the Legislative Assembly working, how we have a dysfunctional democracy in India. The Legislative Assembly had nine sessions in nearly 52 months. The Assembly sat for 123 days. It worked for 544 hours and 58 minutes. I understand that a Legislative Assembly HAS to be necessarily convened once every 6 months. In this case, the Assembly was convened nine times in 52 months, meaning once every 5.78 months. Almost touching 6 months. The Legislative Assembly was convened to meet the statutory requirements, nothing more than that. The Legislative Assembly worked for 123 days across nine sessions and 52 months. Meaning, each Legislative Assembly session was not even worth 14 days, it comes to 13.67 days, to be precise. Out of 1560 days (= 52 months * 30 days), the Legislative Assembly worked for 123 days. It does not come to even 10%, it is below 8% of the total days. The Legislative Assembly worked for 545 hours (adding 2 minutes to the actual working for ease of calculation). It means that each session was worth 60.56 hours. It also means that the Legislative Assembly worked for less than 5 hours on each of the 123 days, which it actually managed to work. In nut-shell, the Telangana Legislative Assembly worked for less than 5 hours, for 14 days each, once every 6 months. I understand that we are a democratic country ruled by the elected representatives. The democratic institution wherein these elected representatives have to deliberate and act for the betterment of the general public does not seem to be functioning. Rather, it seems to awake from its slumber to meet the constitutional requirements and then hibernate off, till the need arises again. What are simultaneous elections for? We, as a country, spend a fortune on the elections. To limit the expenditure on elections, the idea of simultaneous elections is being floated. But, what is this expenditure for? To elect the representatives who work for less than 5 hours, for 14 days each, once every 6 months. Simultaneous elections are being touted for better governance. I wonder if the Telangana Legislative Assembly elections are synced with National elections, will it lead to more sessions / more days per session / more working time per day of the session? What do the MLAs actually do? Members of the Legislative Assembly are called law-makers. I wonder what laws they ever make in the time that the Legislative Assembly actually works. I suppose this is the reason why even now we are saddled with British-era laws. Each one of us knows that our MLAs / MPs do not attend all the sessions / all the days / all the time. Now, taking into account this absenteeism, I wonder how much time a Telangana MLA would actually have spent in the Legislative Assembly? A point can be raised that the elected representative is actually needed more in the constituency for the welfare of the electorate. In that case, what is the need for the pretence of working for less than 5 hours, for 14 days each, once every 6 months? With the absenteeism, it would be even lesser. Why the charade of the Legislative Assembly session? We have a dedicated heritage structure called the Legislative Assembly. It works once every 6 months, only for 14 days and that too limited to less than 5 hours per day. I wonder how much money would be going in the upkeep of the structure (assuming that it is made by the British). What would the structure be used for the rest of the days? I wonder how many Government employees would be working for these sporadic Legislative Assembly sessions. Rather, I wonder more on what these Government employees would be working on when the Legislative Assembly is adjourned. A huge expenditure leading to nowhere. To add to the above, Odisha wants a Legislative Council, which some states actually have. When the Legislative Assembly itself is dysfunctional, why another vestigial addition? There is nothing that I have written above that cannot be deduced from The Hindu article. However, for any Indian Media to initiate a debate on these lines is sacrilegious. For all of the above, the changes can be asked for by the Indian Electorate from the Indian Politicians. Or, the Indian Politicians can bring the change themselves. I wonder what will ever happen, if anything at all. My guess is as good as yours. What do you say? PS: The data quoted pertains to the Telangana Legislative Assembly. The observations made are for all the Legislative Assemblies in the country. 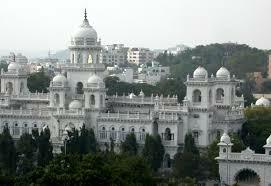 Should you find any Assembly that does work in a non-identical manner to the Telangana Legislate Assembly, pl inform. I shall correct the inferences made above.